Even though I've lived in Southern California for almost 4 years now (wow, time flies when you're having fun in the sun!) 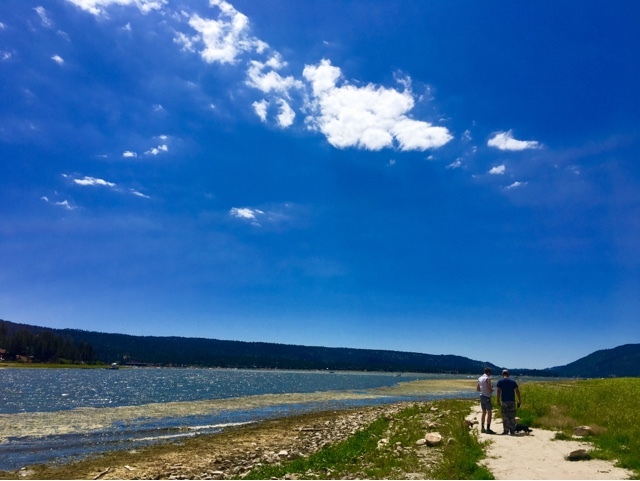 and used to be an avid skier, I've never been up to Big Bear Lake. I even used to work at a hotel located near the foot of the mountain! 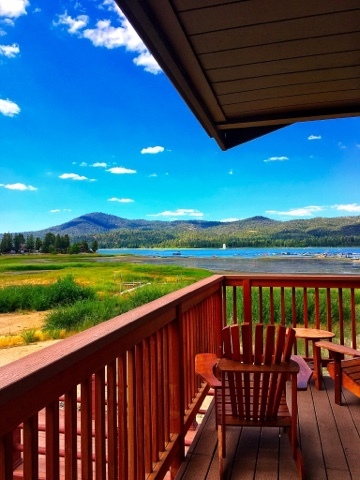 So when I was thinking of a little staycation to go on, I decided on Big Bear. I was hoping for some cooler weather up in the mountains since it's been so hot in LA but nope! It was in the 90's up in Big Bear and it stayed that way the entire time I was there. It's ok, though. We found an adorable lodge to stay at, some exciting places to eat, see and things to do that makes you forget about the heat! 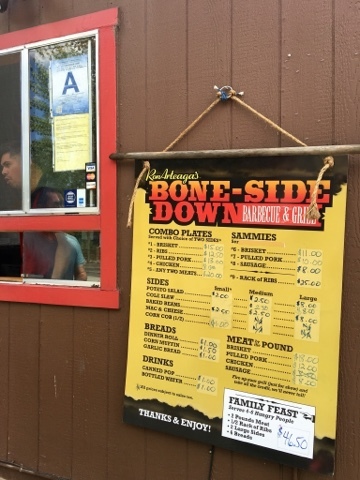 Bone-Side Down BBQ - As we were entering the Big Bear Village area, we spotted a little hut with a BBQ sign. The shop is about the size of a small drive-thru coffee shop with a handful of foldable chairs and a picnic table. I don't heavily rely on Yelp like some people do but I quickly looked it up to see incredible reviews. You walk up to the window, place an order and if you can manage to find a foldable chair at the table, you can eat there. 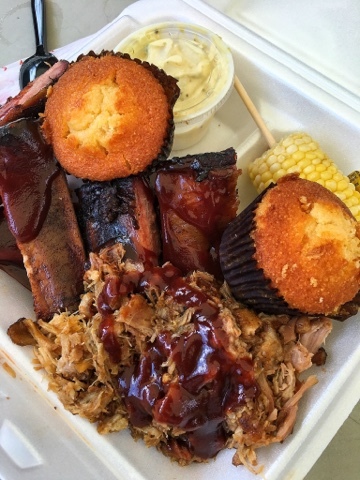 We ordered some ribs, pulled pork, corn bread, corn on the cob and potato salad. I'm not even joking when I say it was one of the best (if not THE best) BBQ I've ever had. They're only open Thursday through Sunday and close when they sell out. We finished around 3PM and the "Sold Out" sign was already out! 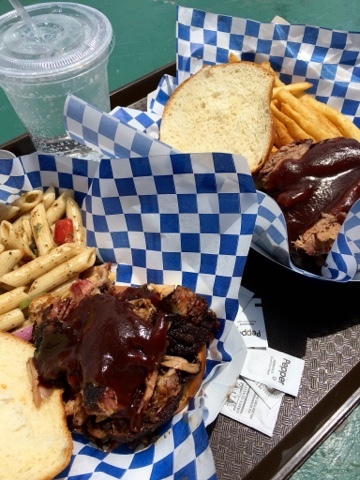 Didn't expect to enjoy BBQ in Big Bear but we sure did! 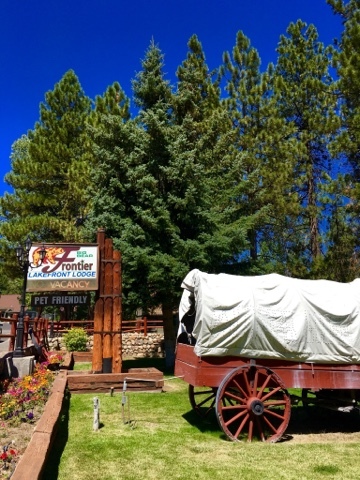 Big Bear Frontier Cabins & Hotel - Funny story. 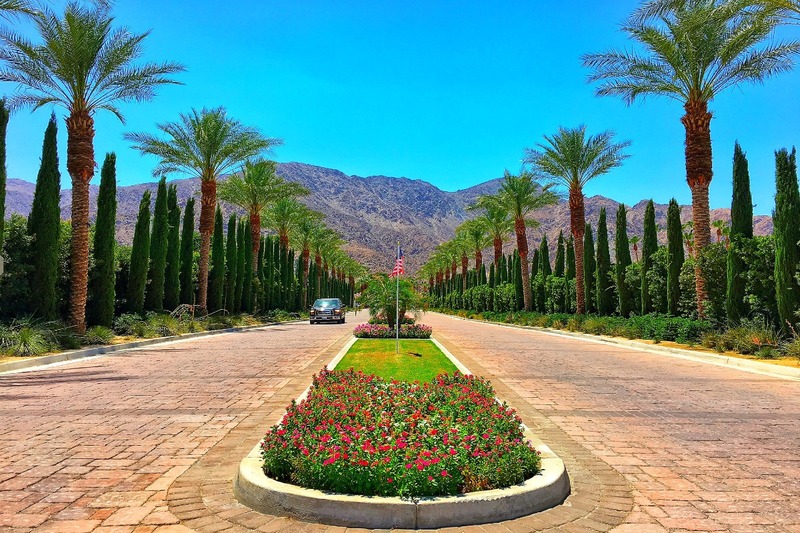 We were originally booked at another resort until we received a phone call from the resort's manager. He told us that they were overbooked and would not be able to accommodate us at their property. 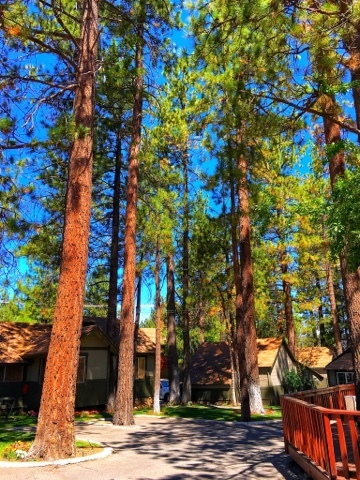 He kindly booked us at the Big Bear Frontier Cabins & Hotel. I was a little disappointed because I was looking forward to the resort stay but quickly changed my mind once we got to this one. 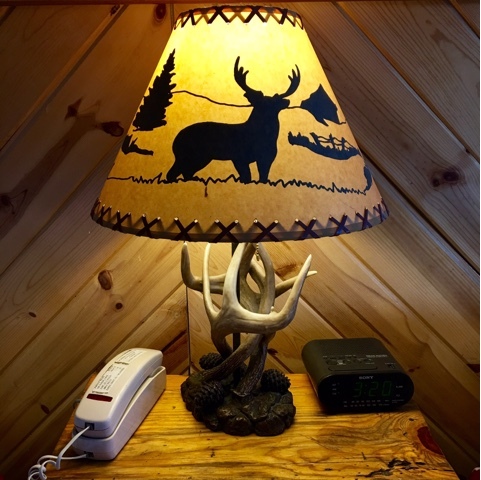 Everyone was so friendly and just from these pictures it's obvious that they have a gorgeous, lodge-feel property. We were placed in a room right on the water; completely stunned by the view! Here I thought it was going to be a downgrade! 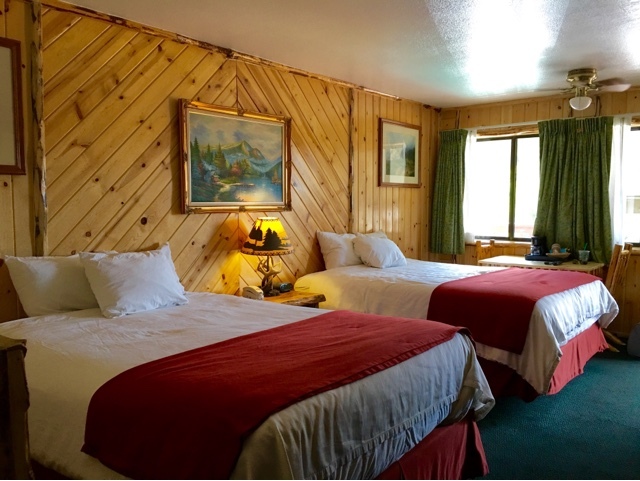 They have entire cabins that have up to 5 bedrooms! Can't wait to stay in them with friends! Alpine Zoo - I love animals. 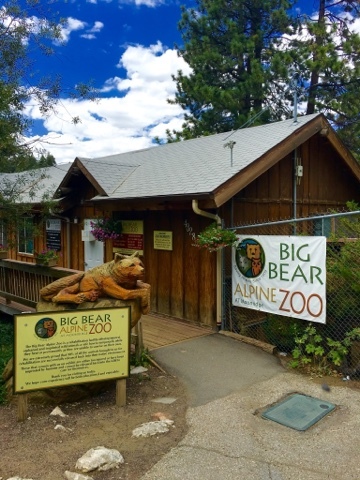 While I have conflicting feelings about zoos in general, I've never been to a zoo like Alpine Zoo in Big Bear. 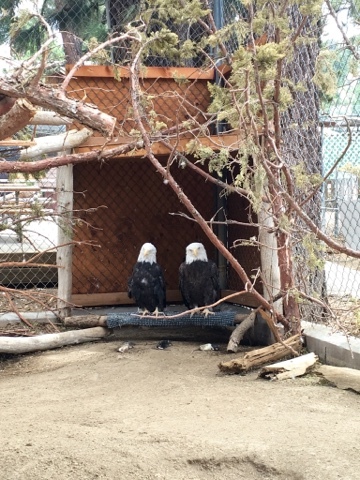 This zoo is very small and is a non-profit organization that actually rehabilitates injured, orphaned and imprinted animals, giving them a safe haven. According to the zoo, 90% of their residents are successfully returned into the wild. 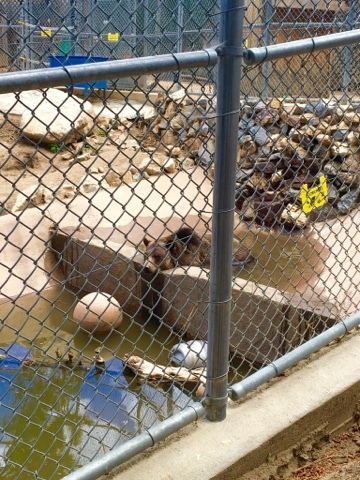 The other 10% are kept at the zoo due to the fact that they would not survive in the wild. I highly recommend visiting when in Big Bear. The volunteers are knowledgable and the animals are beautiful. 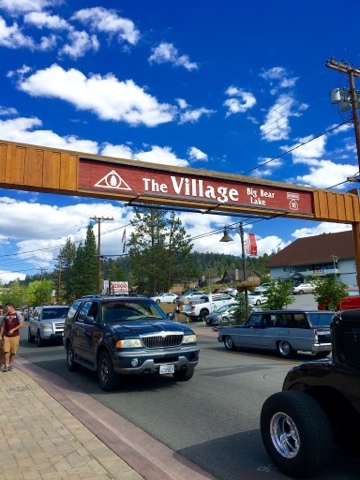 The Village - The Village is the downtown area of Big Bear. 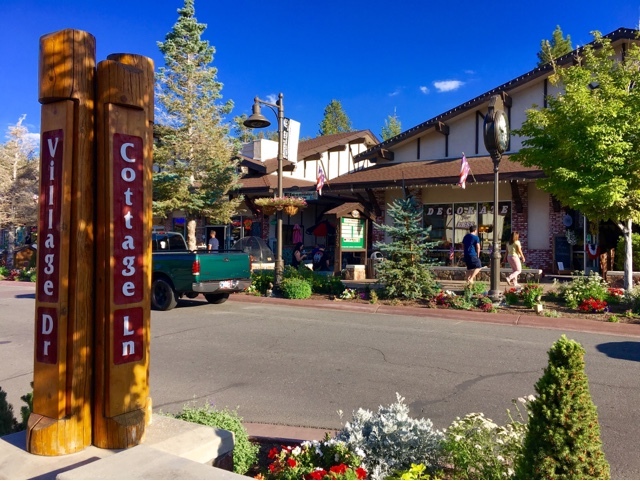 It has restaurants, souvenir shops, theaters, pubs and a lot of Pokemon stops, if you're into that :) There's plenty of parking spots available and an easy walk through the entire village. I recommend the Teddy Bear Restaurant and the Big Bear Brewing Company! Snow Summit - I think the most fun was had at the Snow Summit! 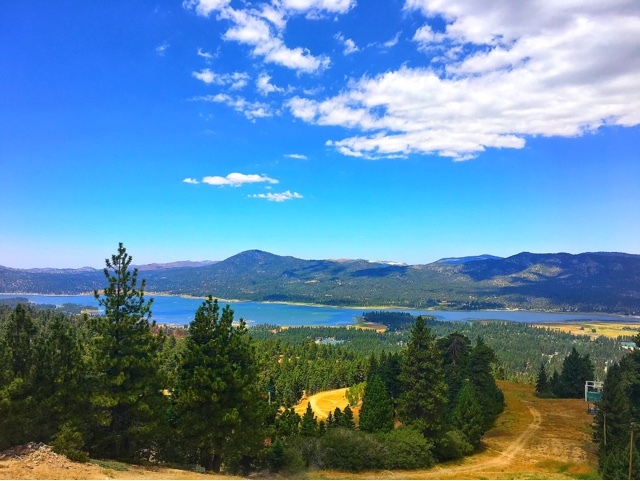 Normally Big Bear is known for their ski resorts so a lot of them close down for the spring and summer. So I was surprised and very pleased that Snow Summit was utilizing their facility all year round for tourists and mountain bikers. 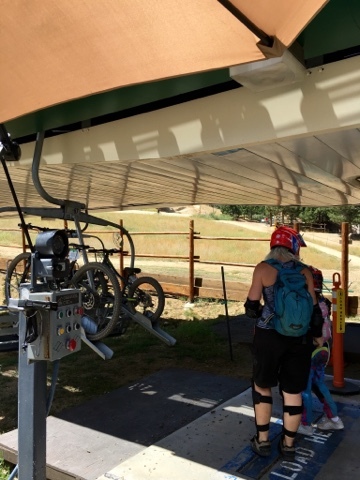 They operate one of the ski lifts as a "Sky Chair" for the non-bikers up to the top and it was so beautiful! It's 1 mile one way up to the peak where you have some gorgeous views and a delicious restaurant. 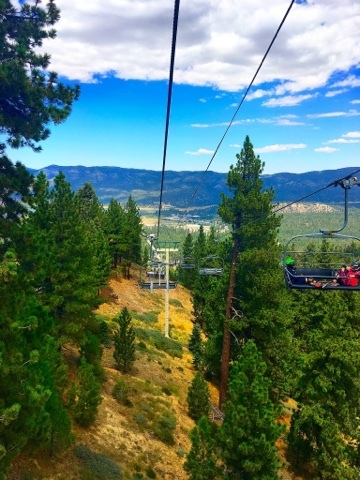 From there you can hike down or bike down or for chairlift lovers like myself, ride the Sky Chair back down. The views as you descent were absolutely stunning! Parks at North Shore - When I asked the hotel staff which park was the best for a picnic on the lake, she said, "Just drive onto North Shore Rd and pick a favorite". Guess what? She was right! 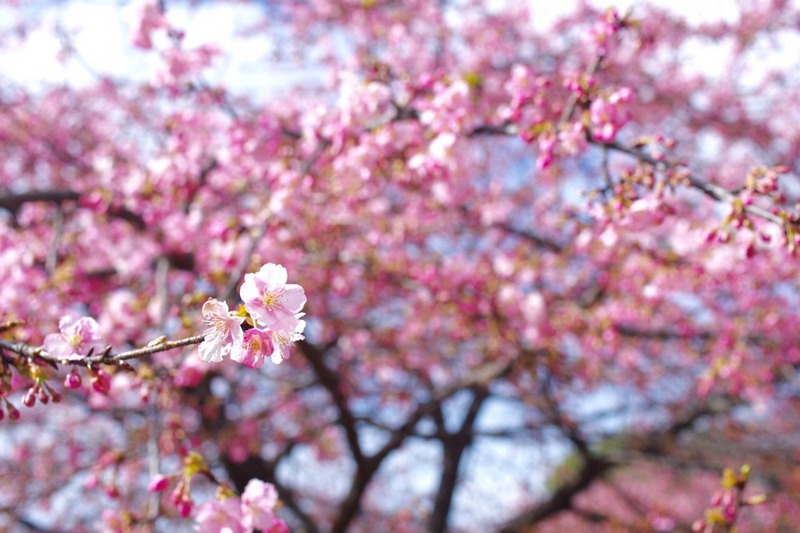 Once you're on North Shore Rd, there's several pockets of parks, rest stops and picnic spots. 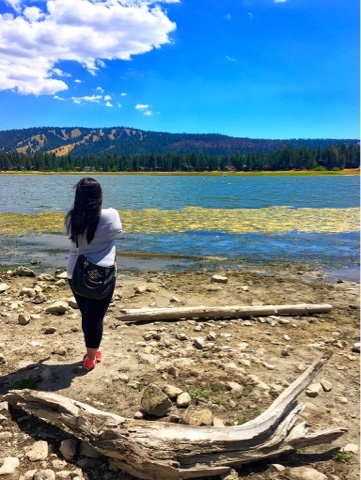 Anywhere you end up, you're going to get a stunning view of the lake. P.S A lot of the stops are dog-friendly for your pup! 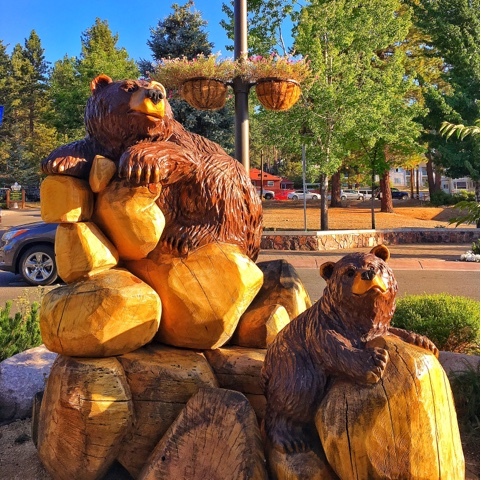 Bear Statues - So this is a totally random but necessary point I have to make about the town of Big Bear. They have these wooden bear statues everywhere (and I mean everywhere!). 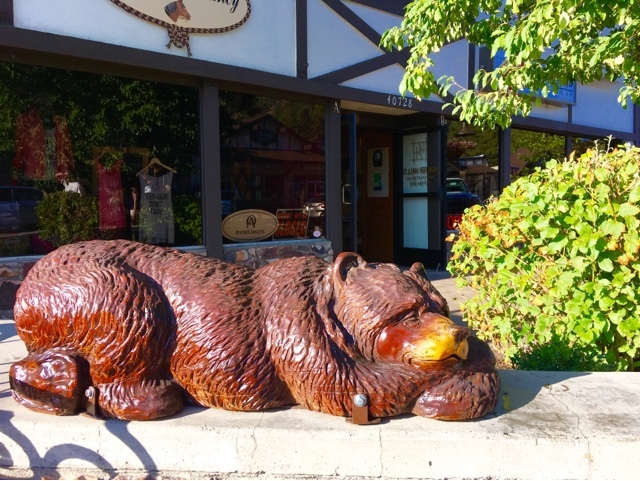 Every storefront has their own bear, even homes have their own bears and randomly throughout town you'll see bears just casually hanging out. How sweet is that? I adored them. 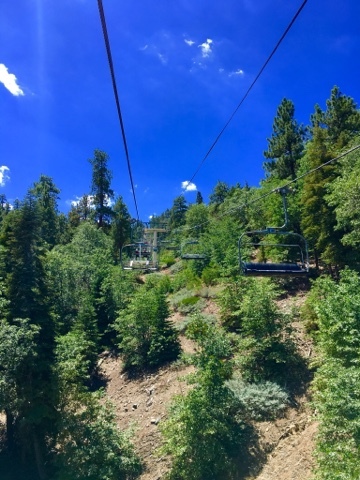 I love Big Bear, and for how many times I've been there (mostly in the winter for snowboarding) I had no idea about a lot of these places, like the Alpine Zoo. So cool! Sounds like an awesome place! My kids would love the Alpine Zoo. Wow! I wonder what that place looks like in the winter, but these photos are just gorgeous! I loved the part where the Zoo releases animals back in the wild and only keeps the ones who wouldn't make it without them. I'm normally not a big fan of zoos, but here in Australia, they have the biggest open range zoo in Dubbo where they have so much space you have to drive a car to get from one animal to the other!! I wrote about it a while go too at: http://www.adventuroustrails.com/2015/12/top-10-places-i-visited-in-2015-part-1.html if you're interested. And the pokemons are the most important! Haha Thanks for sharing! Looks like a fun place! I've heard of Big Bear, but I didn't know if there was anything to do there in the summer months (I'm not into skiing and snow). 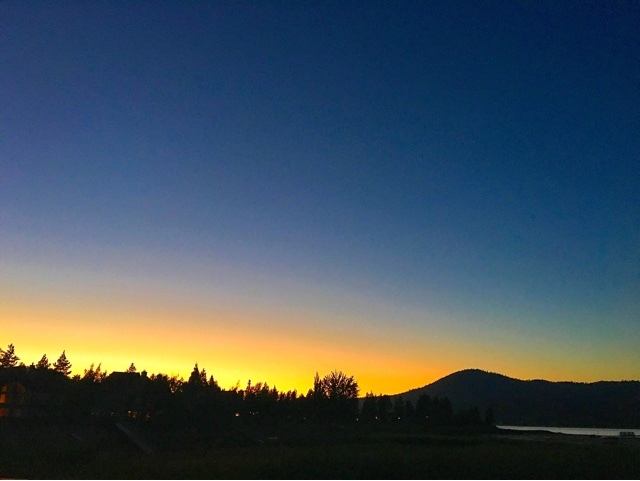 I like Big Bear a lot! You made the right decision to go there in off season! Beautiful place! Short drive if you are Californian. Are you? P.s. Zoo was one of my favorite places there. I love your photos! Gorgeous views. Wow Big Bear looks amazing!!! We didn't get a chance to go out here whilst we were in California and now we're gutted. Definitely going to have to come back. The statues are so cute and that BBQ place sounds so tasty. Everything about this place screams "come and visit me". 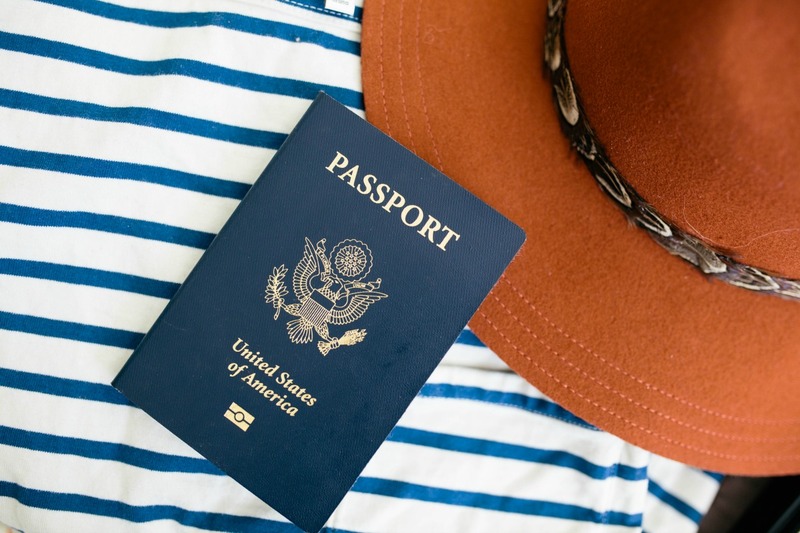 Great post and lovely pics. Oh man, that BBQ looks soooo good!!!! Haha, I miss Big Bear!! Love this post! #FlyAwayFriday!